"Have Your Story Be Heard & How To Find Your Passion"
DO YOU KNOW...WHY YOU DO WHAT YOU DO? We've Taken Our Show On The Road...to RADIO...Once Again! 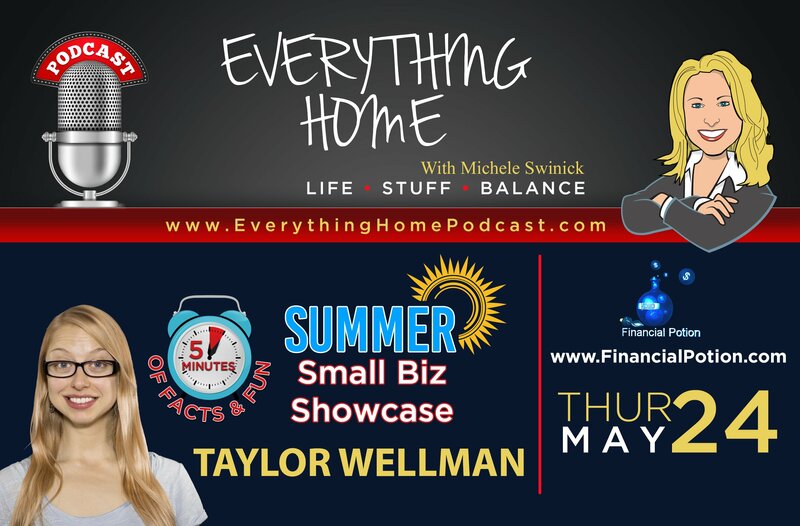 The Everything Home Talk Radio Show & Podcast with Host Michele Swinick, makes a Special Appearance on Voice America's Live Talk Radio Show "GO FOR IT", Hosted by Jo Hausman. It's time you let the world know who are you, what you do & most importantly...WHY you do it! 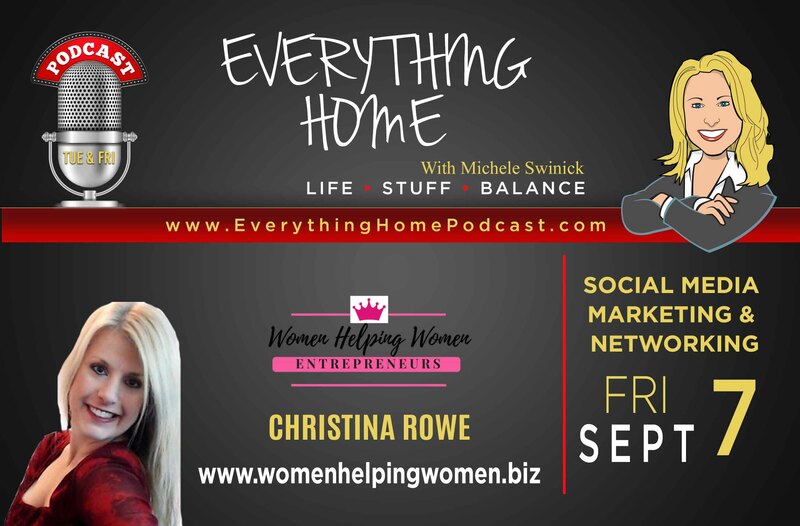 CHRISTINA ROWE - The Queen of Social Media Marketing - SOCIAL MEDIA NETWORKING & MARKETING - FACEBOOK TIPS & TRICKS! "Share, Uplift, Help & Inspire Each Other"
Christina is the founder of Stand Out! Media Group and the Women Helping Women Entrepreneurs. Their Facebook Group has been receiving approximately 15,000 new members per month and they made the Forbes.com list of "Why You Should Join These 7 Facebook Groups For Women Entrepreneurs"
Christina is also an author, speaker and frequent media guest. 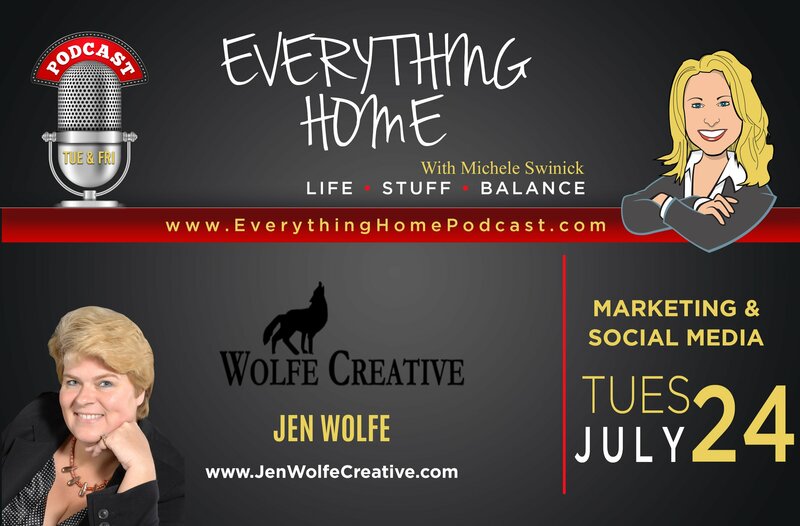 She shares how she got her start, why her support of women is so important to her, her company growth, how she built her Facebook Group, tips, insight, advice and so much more. You'll learn some very interesting changes with Facebook & ways to optimize them, so be prepared to take notes! She's definitely coming back since it's way too much for one show! "Graphic Design / Creative Writing / Websites"
Jen discusses common marketing mistakes to avoid & great tips on how to blog. Turn over your business card right now...is the back blank? MISTAKE #1. Did you know that every 5 years your brand, logo and marketing strategy needs a "fresh coat of paint"? She points out some simple actions and then a few that require some thinking & planning. All will drastically change your business. Her expertise in Blogging and patience with giving me a lesson in Blog 101 has made a HUGE difference for me. Can you imagine what she can do for you with a real strategy session? - which she offers for FREE!